Engineers play an important role in Malaysia as well as globally. More and more people in Malaysia are beginning to realise the importance of getting a top quality engineering education in order to succeed in their career. Top quality engineers are in demand in Malaysia and around the world. Engineering is a career that can take you around the world, working on many different projects as well as being a very well paid job to get into, with different branches of speciality, according to your areas of interest. Qualified and experienced engineering graduates who can communicate well in English are able to migrate overseas to countries like Australia, UK, USA, Europe and more. There are types of engineering fields and specialisations within those fields. Engineering is one of the highest paid careers of the modern world. Malaysian students who enjoy solving problems and coming up with a solution, then engineering could be for you. If you enjoy maths, physics, science, technology and design, then this could be a rewarding career choice for you, which can lead you into an exciting job as a petroleum engineer, civil engineer, electrical & electronic engineer, mechanical engineer, mechatronic engineer, chemical engineer, and more! Demand for qualified engineers in Malaysia is increasing. 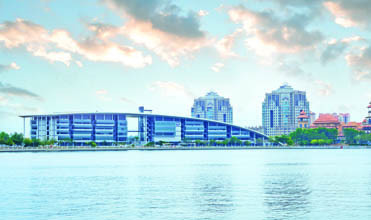 In order to succeed in the engineering field, students must choose a top private university in Malaysia that has the experience and facilities to equip them. In addition, soft skills such as an English speaking environment, leadership skills, communication skills and internship programs will help the graduate stand out and be very successful. Research has shown that graduates with a good command of English has a 25% higher salary than those who don’t. Students after SPM or O-Levels who are sure of choosing engineering for their degree studies may go for the Foundation in Engineering. If you are still not sure whether you want engineering or other science courses, you may choose the Foundation in Science programme at premier private universities in Malaysia. Students after the external Pre-University Programme such as A-Levels, UEC, STPM, SAM, CPU, MUFY or AUSMAT may enter directly into the Engineering Degree programme with relevant results. UEC, and Pre-University to guide them in choosing the right course and university to study so that they can have a successful career. The aim for EduSpiral Consultant Services in sharing this article is to help students in selecting their course of study and career paths based on areas in demand. It is recommended for students to choose an engineering degree programme that is general rather than specific so that their job prospects are wider. If you choose a course such as aerospace engineering, your job scope is only limited to the aerospace industry. A degree in mechanical engineering or mechatronic engineering would provide you the opportunity to work in the aerospace industry as well as other industries. & helped guide me to choose the right university after my A-Levels. act as great foundations for careers in other industries. It isn’t uncommon to find top quality engineers in banking, politics and financial sectors. Many graduates do not work in the field that they graduate in. This is normal. To enter into the Foundation in Engineering or Foundation in Science, students after SPM or O-Levels will need at least 5 credits including Maths and Physics (Chemistry for Chemical Engineering) and pass in BM and Sejarah. With 3 credits in SPM including Maths and a Science subject, students can join the Diploma in Engineering course before entering into Year 2 of the Degree course. Which Engineering field is the best for me to study in Malaysia? EduSpiral took us on a campus tour & gave in-depth information to help me decide. What is Electrical & Electronic Engineering? EduSpiral took me & my friend to visit APU and UCSI so that we can see the campus facilities and make a better decision about our future. Have you ever open your switch board and repair it ? Do you want to know the functioning of your home electrical appliances ? Do you want to know what is really going on in a computer CPU ? Are u interested in sensors & transistor ? Do you want to make your own robot ? If yes then this is the branch for you, again there is a small difference in electrical and electronics most of the syllabus content are same. In most college theses are separate branches but in some college they are same. In short we can say that electronics is subset of electrical. As far as placement and job opportunity is concerned then it depend from university to university. Are you interested in bike and cars design ? Do you take interest in functioning of daily routine things ? Do you like physics ? Do you like additional maths? Do you like to make some new mechanism ? Do you like to use your engineering skills for a common man life ? if yes then you are at right place mechanical engineering is for you. Mechanical Engineering requires real hard work. In most of the colleges mechanical and production are different branches but there syllabus content are more or less similar but in few college this is combine. There is a misconception that in this branch’s job opportunity are less as compared to computer science and electronics. Again it’s depend upon individual .This is called evergreen branch, nowadays there are a lot of job opportunity and money in this sector if you have talent and ready to work hard. Are you interested in building making ? Are you ready to rock the world by your talent ? Have you ever think how this can be done after seeing a building ? if yes then this is the branch for you. There is a misconception that in this branch’s job opportunity are less as compared to other branches of engineering. It is not so, if you are hardworking and talented then there are a lot of opportunity for civil engineers in Malaysia. Which Engineering degree in Malaysia is right for me? I was not happy at my former university and found EduSpiral online. 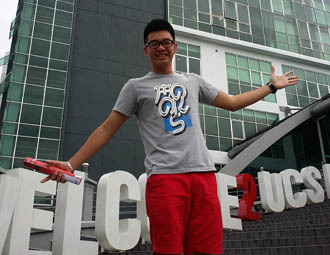 He gave me good advise and even met up with me at KDU to tour the college. It’s important to consider which area of engineering you will specialise in, as they can lead to very different careers. Civil engineers build the structures that define our civilisation – bridges, buildings, transport systems. Electrical engineers study how technology can build new products, or develop new processes for manufacturing and design. Or you could design and build planes, aircraft, robots, medical equipment, or even computer programmes. Whatever you choose, you can create and develop projects that improve and change lives. Think carefully about what area of engineering interests you most – what do you want to achieve in the long term with your engineering study? and maintenance of the physical and naturally built environment, including works like bridges, roads, canals, dams and buildings. It is traditionally broken into several sub-disciplines including environmental engineering, geotechnical engineering, structural engineering, transportation engineering, municipal or urban engineering, water resources engineering, materials engineering, coastal engineering, surveying, and construction engineering. Civil engineering takes place on all levels: in the public sector and in the private sector from individual homeowners through to international companies. materials science for analysis, design, manufacturing, and maintenance of mechanical systems. It is the branch of engineering that involves the production and usage of heat and mechanical power for the design, production, and operation of machines and tools. It is one of the oldest and broadest engineering disciplines. The mechanical engineering field requires understanding of core concepts including mechanics, kinematics, thermodynamics, materials science, and structural analysis. Mechanical engineers use these core principles along with tools like computer-aided engineering and product lifecycle management to design and analyze manufacturing plants, industrial equipment and machinery, heating and cooling systems, motorized vehicles, aircraft, watercraft, robotics, medical devices and more. Computer Engineering… deals with the design of computers and computer systems. This may involve the design of new hardware, the design of PDAs, USBs or the use of computers to control an industrial plant. Computer engineers may also work on a system’s software. However, the design of complex software systems is often the domain of software engineering, which is usually considered a separate discipline. Desktop computers represent a tiny fraction of the devices a computer engineer might work on, as computer-like architectures are now found in a range of devices including video game consoles and DVD players. Mechatronics Engineering… is an engineering discipline which deals with the convergence of electrical and mechanical systems. Such combined systems are known as electromechanical systems and have widespread adoption. Examples include automated manufacturing systems, heating, ventilation and air-conditioning systems and various subsystems of aircraft and automobiles. Which is the best engineering degree to study in Malaysia? There are lots of great engineering courses to choose from, so we have picked some of the best degrees at different levels of cost, reputation and location for you to browse through. Let EduSpiral help you choose an engineering university or school that is right for you. Choose somewhere that specialises in the area you are most interested in, such as civil engineering, chemical engineering, electrical engineering or mechanical engineering. What qualifications/skills are needed to study engineering in Malaysia? On a personal level, you will need to be confident, motivated and flexible. In order to study engineering in Malaysia, you’ll obviously need a strong interest in problem solving, and maths and science, just as we discussed before, but you’ll also need a strong command of the English language. You’ll be spending a lot of time in the laboratory and you’ll be using your computer and maths skills a lot, in theory and practical work. There will be a lot of problem solving, and applying this to case studies, as well as work experience and theory essays. As a general rule you’ll need to be good in maths, physics, chemistry and biology, and if you’re heading into a more specific area you’ll need to check out the specialist subjects for that, as they vary hugely. This is why it’s very important to decide on your subject quite soon, as you may need a different A level requirement, however as a general rule, maths and sciences are your basic needs. You can contact EduSpiral Consultant Services to get a clearer idea on your specific requirements with regards to this, and ask about language support whilst you’re on campus. Obviously the course you choose and the university will all make a difference to how much the degree will cost in terms of tuition fees, and you should talk to your parents about how much they have set aside for your studies, as this will go a long way into funding your engineering study adventure. As a general rule, and again, this depends on a lot of factors, you can expect a cost of around RM80,000 to RM180,000 total for the tuition fees for 4 years. You should be able to get help and advice on living arrangements from EduSpiral and the cost of living very much depends on which city you choose to study in. Most private universities in Malaysia will have on-campus accommodation and off-campus accommodation. It’s simply a case of looking into your options and your preferences. There is a shortage of qualified engineers in Malaysia suitable for the crucial role of overseeing construction projects and infrastructure development works, according to the Institution of Engineers Malaysia (IEM). IEM president Datuk Lim Chow Hock told StarBiz that there were only about 150,000 experienced engineers in Malaysia. “We are still short of 50,000 to meet the requirement in the construction and infrastructure sectors. The experienced engineers are needed in the consultation and management departments,” he said. Lim added that the demand for consultation and management engineers for government construction and infrastructure projects would mitigate the impact of the slowdown taking place in the construction industry. “About 70% of our members are engineers in the development and construction sectors. “They can easily be reabsorbed to play consultation and management roles for government projects,” he said. Lim added that about 30% of the members were involved in the electrical, electronic, and mechanical engineering industries. The IEM currently has about 43,000 members. On the quality of the local engineering graduates, Lim said that there was concern on quality because a study done three years ago by IEM revealed that the local engineering graduates lacked certain fundamental understanding of engineering principles. “This is affecting their ability to execute their duties effectively. In the Third Outline Perspective Plan and the Eighth Malaysia plan, it is estimated that there will be a high demand for engineers where there are estimated 230,000 engineers and technicians for the year 2000 and the projected figure for 2010 is 470,000. (Source OPP3/8MP/EPU). Engineering is a respected profession that pays well. On average, people who graduate with a degree in engineering earn higher salaries than those with other bachelor’s degrees. Studies indicate that there will be a shortage of engineers well into the 21st century. Furthermore, choose top private universities in Malaysia where the engineering degrees are accredited by MQA and the Board of Engineers Malaysia (BEM). Currently, according to BEM there are 11010 Professional Engineers and 81771 Graduate Engineers in Malaysia. Malaysia needs around 275,000 and 300,000 engineers in 5 and 10 years respectively. In a 2006 Report by the Malaysian Ministry of Higher Education, Mechanical engineering is viewed as the field of engineering most highly demanded in the future with a projected increase of 24% from 5 to 10 years (from an estimated number of engineers of 58000 to 72000). About 8% of the respondents indicated a demand for other engineering fields, such as biomedical, computer engineering, instrumentation and technology, marine technology, mechatronic, software engineering and process engineering. According to the report, the demand is highest for: Mechanical Engineers, next is Electrical, Civil, Electronic and finally Chemical. Malaysia needs more than 1,000 engineers annually to meet industry demands, said Talent Corporation Malaysia (TalentCorp). TalentCorp CEO Johan Mahmood Merican said engineers in the electric and electronic (E&E) and oil and gas (O&G) sectors are highly sought after. “The industry is hungry for engineers,” he said after opening the Sector Focus Career Fair 2014 at the Universiti Sains Malaysia (USM) campus here. Mirroring Johan Mahmood’s assessment was Malaysian Investment Development Authority (MIDA) Industry Talent Management Division director Mohamad Ismail Abu Bakar. He said there was a need for expertise in electric and electronic (E&E) , oil and gas (O&G), mechanical engineering and chemical engineering. “This is based on the type of projects MIDA has approved for investments coming in,” he said. Electrical and Electronic, where manufacturing, research and development as well as design for Malaysian companies driving innovation will be focused upon. Oil and gas sector led by a well developed pool of local talent and companies that are able to compete globally. Green industries and services. Expertise in complex manufacturing and those in the solar and alternative energy sectors will be much sought after alongside those involved in the commercialisation of natural bio-diversity into high value products. Electrical and electronics engineers form the core of various technology-ledcompanies in Malaysia. In a report conducted by IPSOS Business Consulting in 2012 on the E&E Sector Study on the Supply-Demand of Talent in Malaysia, it is found that there is a shortage of Electrical & Electronic Engineers in Malaysia. The E&E sector is an important contributor to Malaysia’s economy as it is one of the 12 National Key Economic Areas (NKEA) in the country’s Economic Transformation Programme (ETP). There are 1,900 active E&E companies which provide employment to over 350,000 people. The report found that Fresh Graduates or Entry-level Talent Not Industry-Ready (lacks required skill-sets) therefore choosing a university that can provide the necessary industry relevant teaching and training is imperative. Furthermore, Electrical and electronics engineers who possess solid analytical and communication skills will have a clear advantage over the others. Telecommunication is the means of communicating through the transmission of signals. In today’s world, it is all around us – from 4G connectivity to streaming videos to mobile downloads, and so on. The IPSOS report identified eight key talent shortage areas in the E&E field and one of the areas in demand for Telecommunications Engineers. They are responsible for the analysis, design, implementation, optimization and enhancement of wireless telecommunications products and networks. talent exists in these areas and as such competition is fierce. Strong local candidates with eight or more years of experience are very much in demand. Lead Process Engineers, Engineering Managers, Lead Mechanical Engineers, Control & Instrumentation Engineers and Project Managers – Employers have won projects and now need to hire these professionals. In most demand are candidates with offshore projects experience or FPSO projects experience. Employers also expect that such talent will have experience working in a multicultural team. Operating companies are going through the planning process for 2014. The expectation is that a number of junior level positions will be created in the large established operators that are looking to build a good pipeline of home-grown local talent. These jobs will typically range from fresh graduate positions to roles suitable for candidates with three to four years of experience. The policy of Malaysianisation will continue this year. Yet a skill shortage exists across the board, particularly for more experienced candidates with eight or more years of experience. Candidates with niche experience also continue to be in demand. EPCM contractors, specialist contractors and subsea EPCM contractors have prepared their hiring plans for 2014. Mid-level and senior candidates will be in demand from March onwards. Again, local talent is preferred for short-term immediate contract positions. The Institute for Labour Market Information and Analysis (ILMIA), a division of the Ministry of Human Resources was set up in May 2012. The report is taken from ILMIA’s website. The Malaysia Salary Guide also lists down a whole number of jobs with an indication of what the average salary range should be, according to placements made by Kelly Services Malaysia. Another high-paying industry is engineering, with engineering managers of 8-12 years of experience earning a minimum of RM13,000 and a maximum of RM22,000. Utilities managers, another high-paying position can earn a minimum of RM16,000 and a maximum of RM21,000. According to Jobstreet, a petroleum engineer earns between RM 37,094 – RM 365,156 a year. In positioning Malaysia as the leading oil and gas (O&G) hub in the Asia-Pacific region by 2017, Malaysia Petroleum Resources Corp (MPRC) was formed to promote, catalyse and transform the sector. Notable projects in the O&G (oil and gas) sector include the RM60bil Refinery and Petrochemical Integrated Development project in Pengerang, Johor, and the RM3.8bil Sabah Oil and Gas Terminal in Kimanis. The Average Salary Of SENIOR MANAGERS Is RM12,800 Across All Industries. It takes years of experience and expertise before one becomes a senior manager, but all that hard work pays off. Overall, senior managers in specializations such as IT– Hardware, Quality Control/Assurance and Geophysics are the top highest paying job in this position. What type of students should study engineering in Malaysia? Students with strong credits in Physics, Maths and Chemistry for Chemical or Petroleum Engineering or Physics & Maths for other engineering courses can consider an exciting and highly paid career in engineering. You are a person who is organised, like to work with your hands and mind, creative, and focused, then engineering is something to consider. Arts stream students with 3 credits including Modern Maths and General Science can join the Diploma in Mechanical or Electronic Engineering at some universities. Where to Study Engineering in Malaysia? Choose a university in Malaysia where the engineering courses are accredited by the Board of Engineers Malaysia (BEM) as well as MQA. Facilities are important as well. 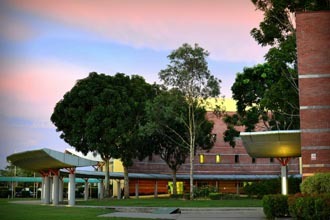 In addition, the number of years where the course has been offered at the university is an evidence of its experience. Lecturers must have the necessary qualifications with at least a Masters degree and teaching experience. Our staff at EduSpiral Consultant Services have worked in the private education industry for many years therefore are able to advise you on which university would be the best that fits your budget, personality and SPM/STPM/UEC/A-Level results. Having counseled thousands of students, we understand where you come from in order to show you where to go. 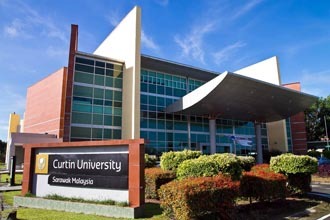 Leading private universities and colleges in Malaysia offering the Diploma in Electrical & Electronic Engineering are UCSI University, Asia Pacific University, KDU University College Utropolis Glenmarie, KDU Penang University College, APIIT, and First City University College. 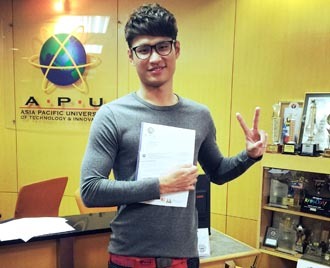 Asia Pacific University (APU) engineering students win at ITEX Malaysia! 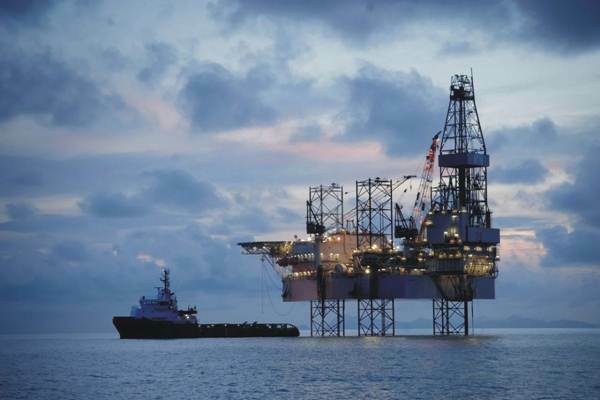 What do Petroleum Engineers in Malaysia do? What will you study in the Bachelor in Software Engineering at the best university in Malaysia? Where can you work in Malaysia after graduating with a degree in Software Engineering?